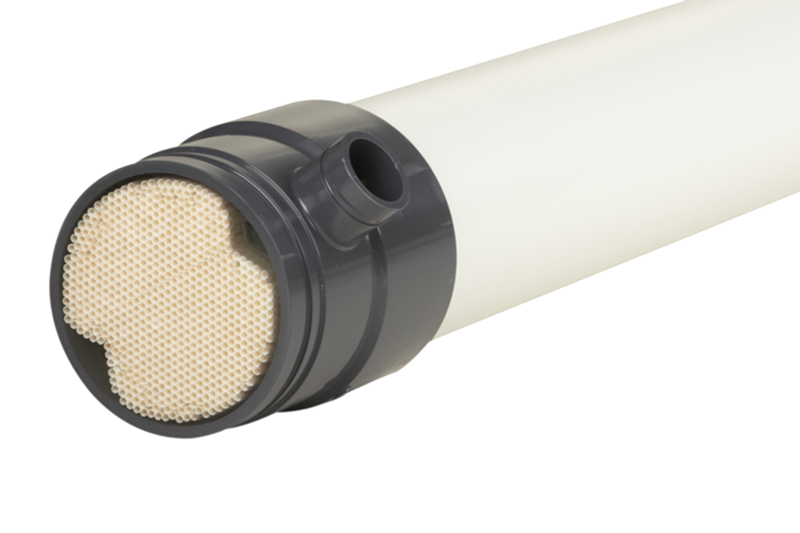 The Compact 33V is a tubular 5.2 mm ultrafiltration membrane very well suited for the separation of biological sludge or any other high solids application in which high effluent quality is required. 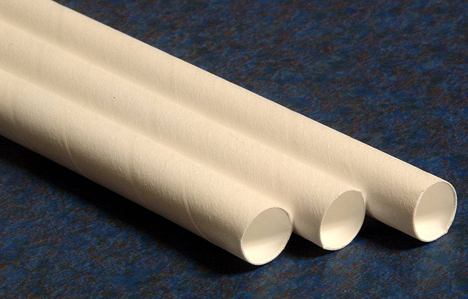 Separating at 0,03 micron, this membrane filter allows only water and dissolved matter to pass, rejecting everything that is undissolved. The filtrate can either be used directly in many applications, or be fed into another (RO) treatment system to remove the dissolved matter. The construction of the Compact 33V allows for backflushing from filtration side to feed side, a cleaning process applied in various heavy-duty operations. Also available with the X-Flow Helix technology, to enhance flux and herewith performance by providing enhanced mixing and efficient removal of the cake. The Compact 33V holds 5.2mm tubular UF membranes, capable of treating streams with solid concentrations up to 15,000mg/l. The module can be applied in an Airlift configuration. With these ‘V-type’ membranes, the orientation is vertical which helps building the skids in this way, supporting the optimized Airlift process. With the Compact 33V, the Airlift mode can be used to optimize the separation process, using air, forward flush and backflush to keep membranes clean and able to do their job with great energy efficiency. Click here to learn more about this connection configurations. 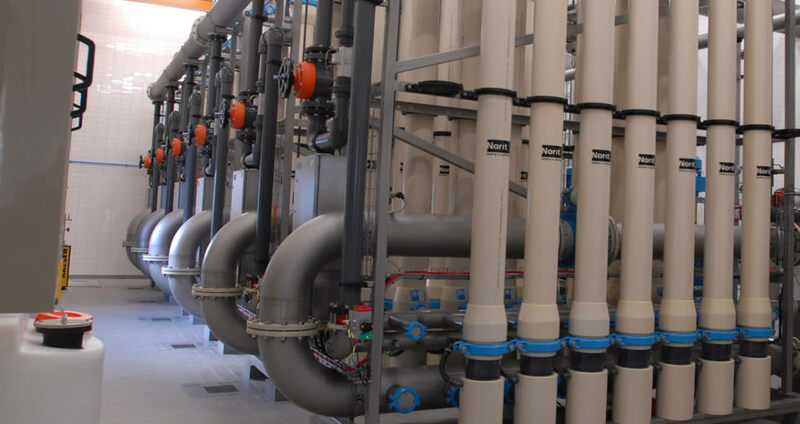 The Compact 33V finds its use primarily in high solids applications, such as separating clean water from biological sludge in membrane bioreactors (MBR’s). 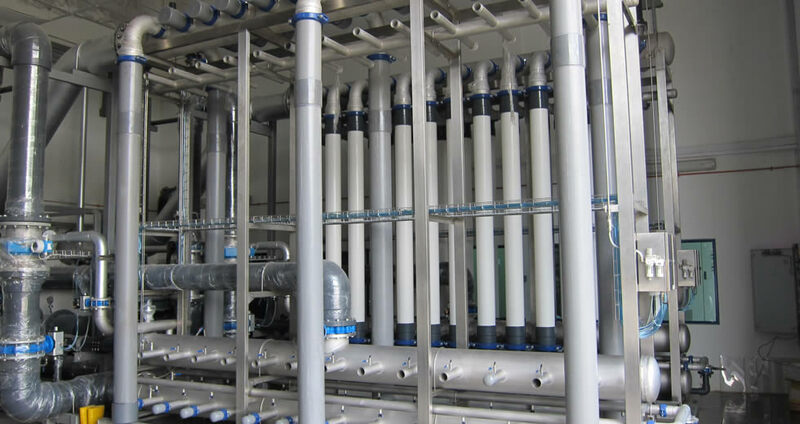 The filtrate will be free from solids of any kind and typically have an SDI of < 3, making filtration with the Compact 33V a good pretreatment method for Reverse Osmosis if all dissolved matter needs to be taken out. Connection configurations: to learn more about other X-Flow membrane modules and their connection configurations, please click here. Replacement: in case you have Compact modules, you can find your replacement alternative on the replacement page. Helix technology: read more on our Helix technology page.